Bush Radio 89.5FM volunteers would like to invite listeners to support the 33rd Annual Cape Town Toy Run™ taking place on Sunday, the 29th November. The Toy Run™ takes place under the auspices of the Italian Motorcycle Owners Club (IMOC), and is now the largest motorcycling-related charity event in Southern Africa and arguably the world. Check out www.toyrun.co.za for details on the times and route. 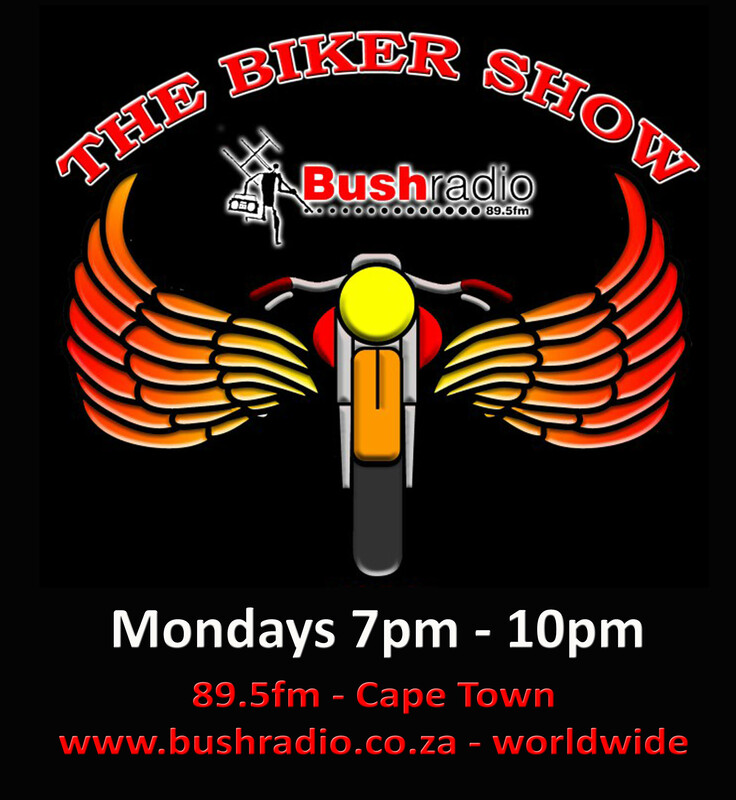 The first radio show produced by bikers – presented by bikers – owned by bikers – for bikers and every other road user – launched in 2012 on Bush Radio is moving to a new time-slot. The show will be broadcast every Monday evening from 7 to 10pm on 89.5FM and available via internet / mobile phone across the world). The show will continue to have something for everyone – those to whom biking is a hobby; others who see it as a lifestyle and for those who believe biking is life itself! This three-hour show will have weekly features on road safety, featured bike of the week; club of the week; general biker news; special guests and if it needs to be aired for debate, it will be dealt with on The Biker Show. Wilma de Klerk aka Wilma loves Biking with her beautiful two-month old baby daughter Lee de Klerk. 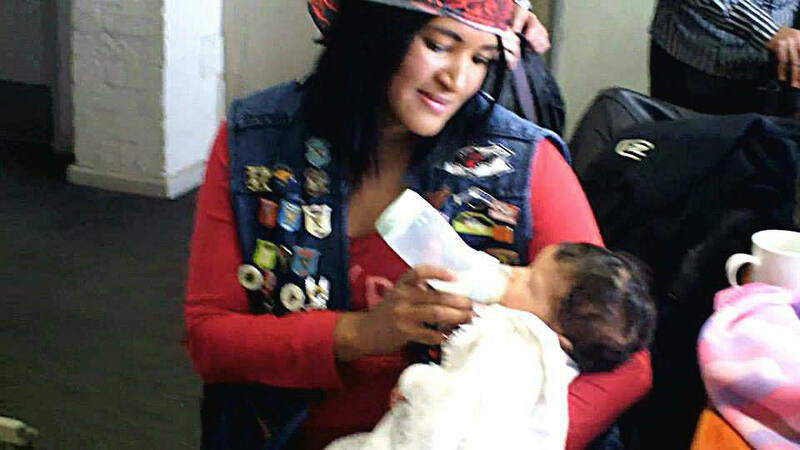 With Mother’s Day come and gone the Biker Show decided to have a special show in honour of mothers, on the 9 May 2015. There was a mix of guest; bikers, those mom’s who had not yet braved two wheels, those not too keen to try and some of the presenters’ moms all of which made for an interesting show. First order of business was the meet and greet between the moms, they were instructed to share stories about how they became mothers in biking and attempted to rub off their love of biking onto the mothers who had not been on a bike. As mothers usually have a lot to say about everything, the minute they were told that they should be getting ready to go in studio, the silence in the room was deafening as the nerves crept in. Our beautiful Moms in Biking -Left to right: Ruth Castle, Samantha Lamprecht, Kaylen Butler, Janine Brand, Dawn Paulse, Melanie Alexander, Wilma loves Biking. Once they gathered themselves, they were ready for the topics of the day “have you been on a bike?” Of course the biker mama’s were raving about what joy and freedom riding a bike provides. 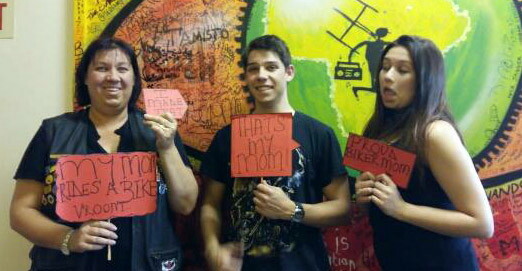 Then came the non-biker mama’s, the answers varied from one mom to the other. Wilma de Klerk aka Wilma loves Biking, who recently became a mom rides an R1 Yamaha and said that it made her a better biker realising that as she rides she wants to come back to her child. Kaylen Butler says that the preconceived notion of bikers as dangerous, reckless is not true. As she met bikers and found that they were the loveliest bunch of people. It’s just the bike that is a problem for her. During the Biker Safety hour sponsored by Biker Basics, Lloyd Castle and regular guest on the show Officer Igshaan Dyson put the moms through their paces. The task was to convince the moms that biking can be and is safe. Samantha Lamprecht, who has been in biking since she was in diapers, rides a Suzuki and commented on the issue of safety with regards to wearing the correct gear. “Whether you fall at 20 or 120, you are going to get eina”. A big thank you to all the moms who came through and enjoyed our photo-booth, gifts and eats. 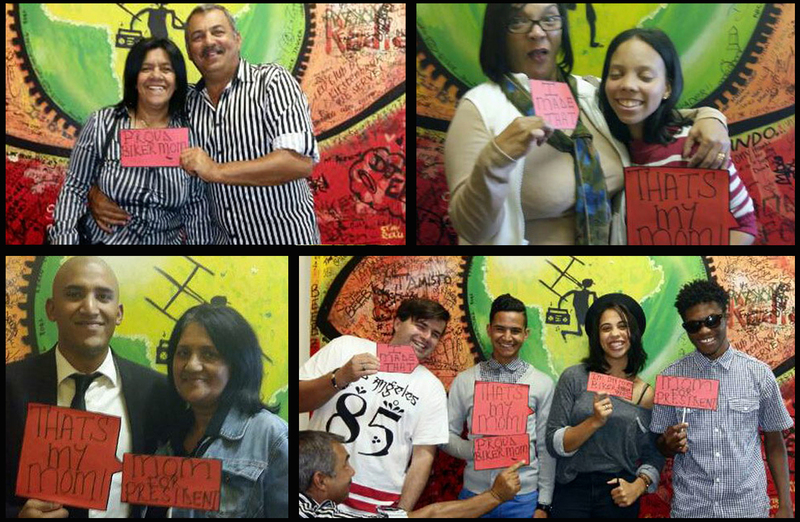 You really are special to us at the Mother of Community Radio – Bush Radio.